Tap on F5 to open Preferences window > General > Skin. Make your selection in the "Skin Settings" table and validate with OK. Published by aakai1056. Latest update on October 13, 2014 at 09:18 AM by Jean-François Pillou. 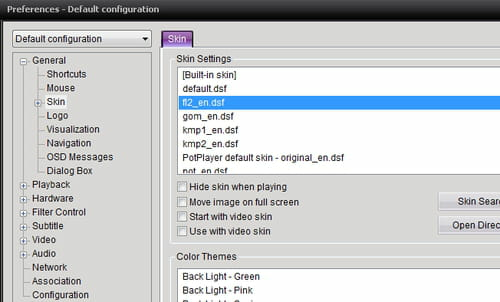 This document, titled "Daum PotPlayer - Change Skin," is available under the Creative Commons license. Any copy, reuse, or modification of the content should be sufficiently credited to CCM (https://ccm.net/).